WEDNESDAY, July 6, 2016 (HealthDay News) -- Health experts have long warned that antibiotics are overused, often prescribed for viral infections for which the drugs are useless. A quick blood test to determine whether an infection is viral or bacterial would help curb the problem -- and scientists now say that test may come soon. One family physician believes the screen could be a great advance for patients. "It would reduce unnecessary antibiotic use -- which, if it continues unchecked, will threaten entire populations of individuals because of growing antibiotic resistance," said Dr. Howard Selinger. He is chair of family medicine at Quinnipiac University's School of Medicine in Hamden, Conn. 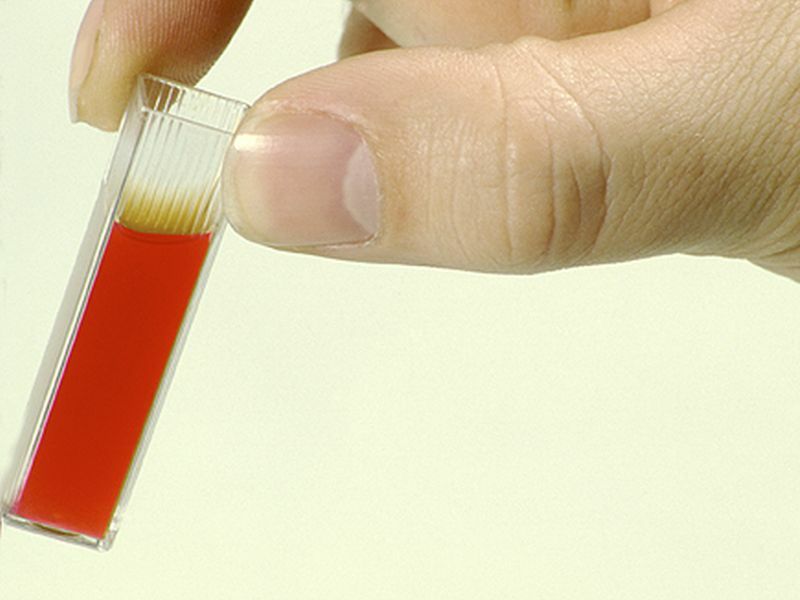 Such a blood test "would also have the advantage of helping patients avoid potentially dangerous and harmful antibiotic side effects," Selinger added. As explained by researchers at Stanford University in California, the overuse of lifesaving antibiotics has led to the emergence of a growing global threat: antibiotic-resistant bacteria, known as "superbugs." Left unchecked, the spread of superbugs raises the possibility of incurable infectious diseases that could cost the world $100 trillion in gross-domestic-product losses by 2050, the study authors said in a university news release. The unnecessary use of antibiotics also raises the risk of unwanted side effects, such as tendon rupture, kidney damage or changes to the healthy gut bacteria, the researchers said. Right now, health officials urge doctors to refrain from prescribing antibiotics for anything other than a bacterial infection. However, there's still no easy way for physicians to determine whether a cough, sore throat, ear infection or other malady is caused by a virus or bacteria. "A lot of times you can't really tell what kind of infection someone has," study author Dr. Timothy Sweeney said in the news release. "If someone comes into the clinic, a bacterial or a viral infection often look exactly the same," said Sweeney, who's an engineering research associate at Stanford's Institute for Immunity, Transplantation and Infection. The key to differentiating between the two may lie in something called gene expression, he said. Gene expression is a process by which cells extract information from genes and express it in the form of either protein or molecules called RNA. In response to an infection, cells may express more or less of each molecule. For the study, published July 6 in Science Translational Medicine, Sweeney's team looked at available data to identify genes with a pattern of activity that changes during an infection. According to study senior author Purvesh Khatri, in prior research, the investigators "found a common response by the human immune system to multiple viruses that is distinct from that for bacterial infections." Khatri is an assistant professor of medicine at Stanford's School of Medicine. "We wondered whether we could exploit that difference to improve the diagnosis of bacterial or viral infections," he added. Prior tests had involved hundreds of genes, Khatri said, and "we needed a gene signature consisting of far fewer genes for the test to be clinically useful." The new blood screen, tested on 96 critically ill children in Nepal, requires just seven genes to sort out whether an infection is bacterial or viral, the researchers reported. However, before the new test becomes available to doctors, it must be thoroughly tested in larger studies and incorporated into a device that can give a result within an hour, the study authors noted. That's at least three hours faster than the fastest existing tests, which are still too slow to help critically ill patients. For his part, Selinger said he's hopeful a quick, blood-based test is finally on the horizon. "For someone with an infectious disease, the ability to distinguish between a viral and a bacterial cause would be game-changing," he said. "In the primary care setting, a point-of-care outpatient test of this nature would enable the clinician to educate their patient with certainty about the time course and severity of symptoms associated with their illness." Dr. Len Horovitz is an internist at Lenox Hill Hospital in New York City. He agreed that if the Stanford test proves successful, it could "drastically reduce the over-prescribing of antibiotics." "The test ultimately would be based on gene responses, and the result would be available in an hour -- enough time for critical decision-making," Horovitz said. The new research was funded in part by the U.S. National Institutes of Health and the Bill and Melinda Gates Foundation. Sweeney and Khatri said that the seven-gene test is up for possible patent protection by Stanford's Office of Technology Licensing.